You can download the free pdf or buy a Kindle version for $.99 if that works better for you. I pray that these help point you and your family to Christ this holiday season! The past sermons from my former church, Christ Community Church, will now be available through this blog. For over 10 years I had the privilege of preaching at Christ Community Church in Wilson NC. The first 5 of those years, it was an honor to preach alongside Justin Childers when he was our lead pastor. About a year ago, Christ Community Church made the difficult decision to begin the process of closing our church (you can read more about that here). One of the questions many people have asked me since that time is, "What about the sermons? Are we still going to be able to go back and listen to them?" I know there are many who go back to listen to Justin's sermons from his first 5 years with us. And, others have mentioned that they are currently benefitting from listening to sermons while studying a book of the Bible I preached through in my time there. So, having said all of that, the Christ Community website was shut down last week. 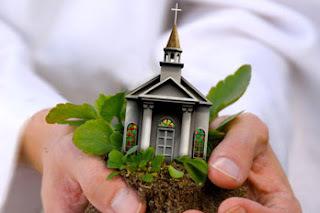 But, thanks to the generosity of WebBlocks, the church's web host, we have been able to move all of the sermons over to a subdomain of this blog: http://sermons.jonathanrbrooks.com. This site will also be able to be accessed by clicking on the SERMON tab beneath the header of this page. I pray, as I know Justin does, that the truth of God's Word would continue to impact the hearts of his people. Justin and I are both in different churches now. Justin serves as lead pastor at Miller Heights Baptist Church in Belton TX and I'm serving as lead pastor at Refuge Church in Raleigh NC. So, fair warning to our people, we may feel led to go through one of these books with you in the future. Of course, we'll study all over again and let God work fresh on our hearts. But, His truth is unchanged - so you may hear a very similar sermon in the future if you listen now! Leviticus is a bloody book. There are laws for burnt offerings, laws for peace offering, laws for sin offering, and laws for guilt offerings. Each having various sections detailing how to handle the sacrifice if it's from the herd, or the flock, or at times even a turtledove or a pigeon. As you read the first chapters of Leviticus it can be overwhelming at times. You may begin to wonder how there would be any living animals left among God's people. The Law demanded bloody sacrifice upon bloody sacrifice. In fact, Leviticus 6:13 makes clear, "Fire shall be kept burning on the altar continually; it shall not go out." Sacrificing animals and laying them on the altar would be a continual occurrence in the life of Israel. This is what the Law demanded. Day after day, animal upon animal sacrificed to atone for the sins of the people. It was a never-ending stream of slaughtered sacrifices because of the frequent faithlessness of God's people. Each phrase of that sentence thunders with meaning. Jesus is THE Lamb. He's not a lamb or another lamb among the thousands that have been sacrificed. He's THE Lamb. There's something final in this arrival to which all other sacrifices have been pointing. This lamb is from God himself. He will be the lamb that God lays upon the altar. He will be the lamb slaughtered and sacrificed by God himself. God, having no sin of his own, is not offering this lamb for himself, but instead for someone else. This lamb will finish the job. He is THE lamb from GOD and he will take away the sin. There will be no sin left for which God's people must make a sacrifice. There will be no sin left for which God's people must face the condemnation of God. He will take it away finally and completely. 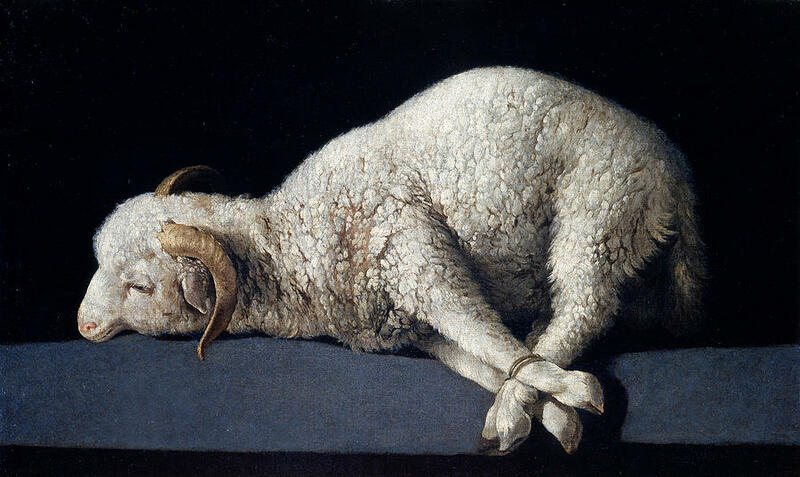 The Lamb of God who takes away the sin of the world. This lamb isn't just for those who are of physical Israel. This lamb will be for the sins of every tribe, tongue, and nation. So, he is not just THE lamb for Israel, but the lamb for the sins of everyone who will turn to him in faith. In other words, when John saw Jesus coming toward him, he proclaimed that the sacrificial bloodbath would be over with this lamb because his sacrifice is all that is needed for all eternity. That's why Jesus cried out from the cross, "It is finished." He is THE Lamb of God who takes away the sin of the world and there will never need to be another. Why the Reformation Still Matters: What do we say to a child grieving the loss of his atheistic father? My heart breaks for this boy. The loss of a father at a young age, especially this young, is a tragedy no child should have to endure. The young boy in this story, Emanuele, recently lost his father and was part of a group that was invited to ask Pope Francis questions. Emanuele was invited to the stage to whisper his question into the Pope's ear because he was too nervous and emotional to ask from the microphone. On the stage with the Pope's arms tenderly wrapped around him he told the Pope that his father was an atheist and had recently died, but had ensured his children were all baptized. He then asked the Pope, "Is my father in heaven?" Before I dive into expressing my concerns for how Pope Francis answered that question, I want to be clear that I applaud the tenderness, humility, and empathy that Pope Francis displayed. The child needed a hug. He gave him one. The question the young boy asked is a difficult one to answer with pastoral tenderness and truth. But, any answer worth giving must include both. Pope Francis basically answered the boy by saying that his father's good works, demonstrated in having his children baptized, were evidence that God would accept him into heaven. Pope Francis was clearly tender, but he either intentionally muddled the gospel or he applied the faulty Catholic understanding of it. Ultimately, I think it was both. Perhaps he was applying the Catholic doctrine of purgatory. In that case, he was telling this young child (without really telling him) that the good works of his father will eventually help him escape purgatory and then, maybe, he will be in heaven - if enough people pray for his father and receive indulgences for his father and do whatever else the Catholic Church decides can shorten the timeline for the suffering of loved ones in purgatory. The tragedy of the story is that Jesus was nowhere to be found in the conversation. It serves as a fresh reminder of the need for the truth of the gospel recovered in the Reformation. It's a reminder that, in fact, the Reformation is not over. It's a reminder that the debate of the Reformation isn't just about ivory tower theology, but about what we say to little children who ask questions about their deceased atheist father. It doesn't get any more real and pastoral than that. The Pope failed to love the boy well because he failed to point him to Jesus, his only hope in life and death. He failed to make clear to the boy that it is only through faith in Christ that we can have any hope of eternity. He failed the boy because Emanuele walked away with some kind of vague understanding that good works have something to do with whether he gets to be with God for all eternity or not. That's a burden no human shoulders can bear. With tenderness, Emanuele needed to be told that if his father trusted in Jesus, then there is no question that he is with God this very moment. He needed to be told that he too needs to look to Christ alone for hope and comfort during these difficult days. Those would have been difficult words to hear if he fully comprehended their weight. But, I would rather his tiny shoulders bear the weight of that grief so that he could find the capable and able shoulders of Jesus, on which he could place that grief and all of his sins. Instead, he walked away feeling a little bit better for the moment, but set up for a lifetime of bearing the weight of his sins on his own growing, but forever too weak, frail shoulders. 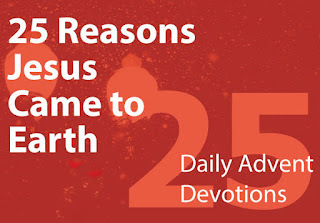 I've created a pdf of the Advent Devotionals I wrote last Christmas. 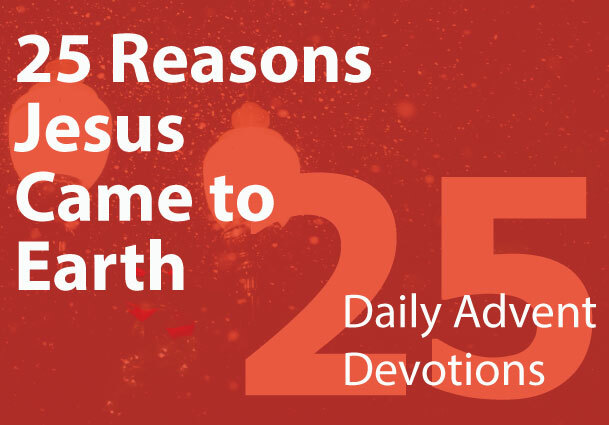 So, instead of updating the blog each day of Advent with the devotion for that day you can download the entire pdf at once. If you want a version formatted for Kindle, that should be available tomorrow, it will cost $0.99 (That was the lowest they would allow). I'll update this when it comes available.